A native of Canada, Dr. Chow received her veterinary training from the University of Pennsylvania in 2002. She completed a small animal rotating internship at the University of Georgia, followed by a residency in Small Animal Emergency and Intensive Care at the University of California, Davis, and became board certified in 2006. 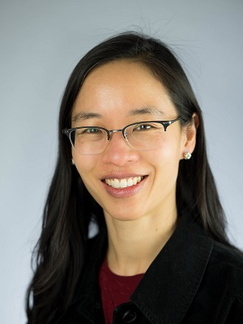 As a criticalist, she worked in two private specialty practices in southern California and Michigan before joining the University of Minnesota in 2016, where she serves as Associate Professor in Emergency and Critical Care, and Associate Medical Director of the core services. Dr. Chow has lectured in local and national veterinary forums and has several publications in the field of Emergency and Critical Care. Special interests include respiratory medicine, sepsis, electrolyte disorders and veterinary education.